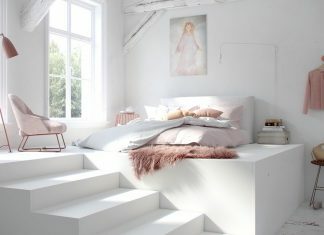 Roohome.com – Do you confuse for designs your living room? Now, you can get an idea for your living room designs. 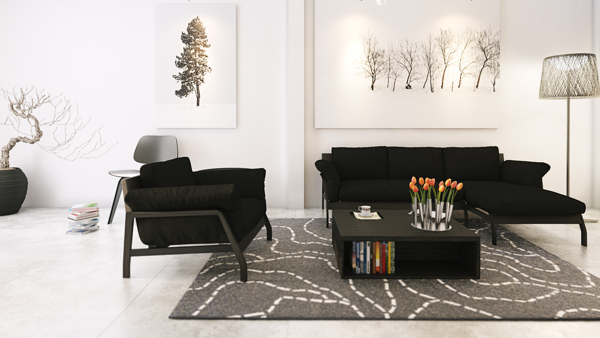 You can choose monochrome home design ideas for your living room. If you follow the simple design by Koj Design’s below, you can realize the simple living room design with a simple furniture and a simple color. Applying some pictures for the wall and use a wood furniture to make a nice looking in your living room. 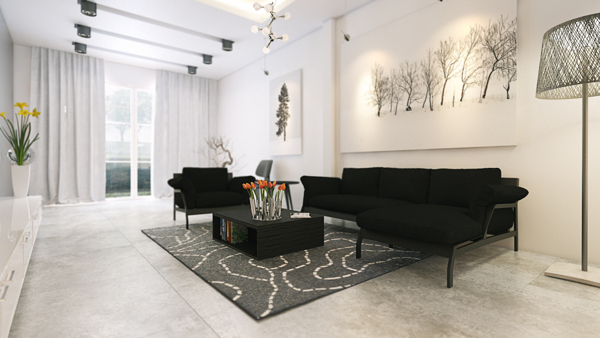 Black and white design a very simple color to make your living room more comfortable. You also can add some pictures on the wall and simple lighting for decoration. For the table, you can choose the multifunction table to complete the design. 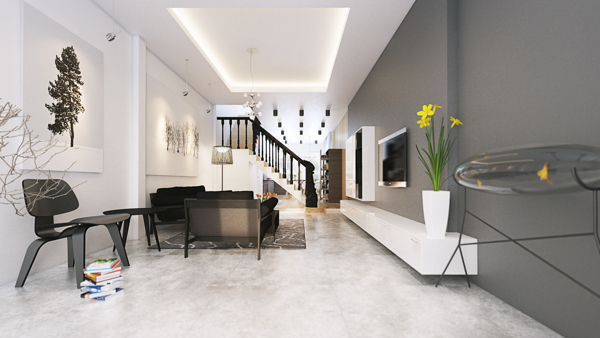 The use of the carpet with little shades of white and gray color also make more interesting. 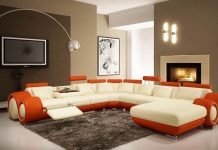 Monochrome home design ideas can apply for your living room because black and white color are very simple for using in living room home design. So, you can apply this for your living room. For you who want your room spacious and simplistic layout to let space breathe and flow. you can choose an open plan living room design. It will a great idea because it uses a simple furniture. For the cupboard, it possible to use wood and unique lighting. White color for a wall and combine with a wallpaper like a wood also make more warm. To provide a strong minimalist touch, for floors could use wood pattern. Move to the next concept for minimalist living room design. For you who enjoy in your living room make the best concept for it. Colors black and white also dark gray are suitable to apply in your design. Hang lighting is possible to use for your living room design. Apply monochrome design also great to combine with your concept. So, make your concept more interesting. 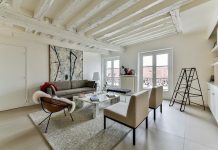 Open plan monochrome home design ideas can be more beautiful if you can add wood furniture. Placement the window on the other side to make the room more brightening and good exposure. 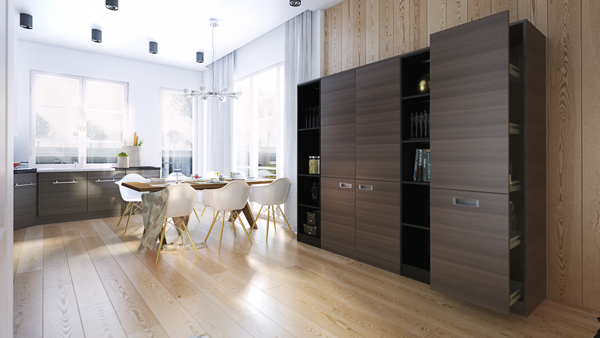 Small wood cabinets also make your room design more interesting. A touch of muted colors gives the impression of making a more minimalist stand. 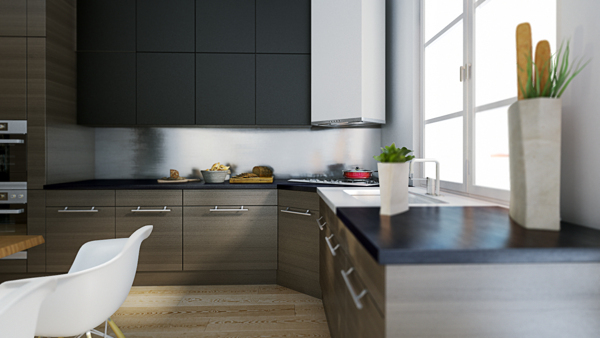 Wood furniture black or dark gray will give the impression of a warm minimalist. So, you can apply it for your open plan living room design. Find the other interesting design here.